At present, the common permanent magnetic materials are ferrite, NdFeB, samarium cobalt, aluminium nickel cobalt, rubber magnetism and so on. Ferrite is a non-metallic magnetic material, also known as magnetic ceramics. We take apart the traditional radio. The horn magnet inside is ferrite. At present, the magnetic energy product of ferrite is only slightly higher than that of 4MGOe. One of the greatest advantages of this material is its low price. At present, it is still widely used in many fields. Ferrites are ceramics. Therefore, the machinability is similar to that of ceramics. Ferrite magnets are molded and sintered. If processing is needed, only simple grinding is needed. Because it is difficult to machine, most ferrite products are simple in shape and large in size tolerance. The square shape product is good and can be ground. Other dimensional tolerances are given as a percentage of nominal size. 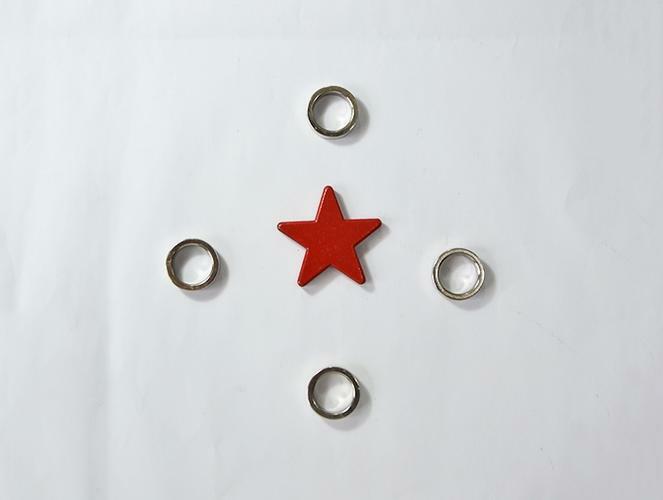 Because ferrite is widely used and inexpensive, many manufacturers will have ready-made circular rings of conventional shapes and sizes, such as diamonds and other products to choose from. Because ferrite is made of ceramics, there is basically no corrosion problem. The finished product does not need surface treatment or coating such as electroplating. Rubber magnet is one of the series of ferrite magnets. It is made of bonded ferrite magnetic powder and synthetic rubber by extrusion, calendering and injection molding. It can be processed into the strip, roll, sheet, block, ring, and various complex shapes. Its magnetic energy product ranges from 0.60 to 1.50 MGOe in the application fields of rubber magnets: refrigerators, message boards, fasteners that fix objects to metal bodies for advertising, and magnetic discs for toys, teaching instruments, switches, and sensors. Mainly used in micro and special motors, refrigerators, disinfection cabinets, kitchen cabinets, toys, stationery, advertising, and other industries. Samarium-cobalt magnets consist mainly of samarium and cobalt. Samarium cobalt magnets are also the most expensive of several magnets because of the high price of the two materials themselves. The magnetic energy product of samarium-cobalt magnet can reach 30MGOe or even higher at present. In addition, samarium cobalt magnets have high coercivity and high-temperature resistance. They can be used at 350 degrees Celsius, so they can not be replaced in many applications. Samarium cobalt magnet belongs to powder metallurgy products. Generally, according to the size and shape of the finished product, the manufacturer sinters the block blank and then uses the diamond blade to cut into the finished product size. Because samarium cobalt is conductive, it can be processed by wire cutting. In theory, samarium and cobalt can be cut into shapes that can be cut by wire cutting, without considering magnetization and larger size. Samarium cobalt magnet, corrosion resistance is good, generally, do not need to carry out anti-corrosion plating or coating. In addition, the texture of samarium cobalt magnet is very brittle, so it is difficult to process small size or thin-walled products. The neodymium magnet is a magnet product with wide application and rapid development. Neodymium iron boron has been widely used since its invention, and it has not been more than 20 years. Because of its high magnetic properties and processability, the price is not very high, so the application field expands rapidly. At present, the magnetic energy product of commercialized NdFeB can reach 50MGOe, which is 10 times that of ferrite. NdFeB is also a powder metallurgical product, and its processing method is similar to that of SmCo. At present, the highest working temperature of NdFeB is about 180 degrees Celsius. If it is used in harsh environments, it is generally recommended not to exceed 140 degrees Celsius. NdFeB is very susceptible to corrosion. Therefore, most of the finished products need to be electroplated or coated. Conventional surface treatments include nickel plating, zinc plating, aluminum plating, electrophoresis, etc. If working in a closed environment, phosphating can also be used. Because of the high magnetic properties of NdFeB, NdFeB has been used to replace other magnetic materials on many occasions to reduce the volume of products. If we use ferrite magnets, the size of mobile phones today will not be less than half a brick. Samarium cobalt magnet and neodymium iron boron magnet have better processing performance. Therefore, the dimension tolerance of the product is much better than that of ferrite. General products, size tolerance can be achieved (+/-) 0.05 mm. Aluminum-nickel-cobalt magnet has two processes: casting and sintering. AlNiCo magnets have a magnetic energy product of up to 9MGOe, which has the greatest characteristic of high-temperature resistance and working temperature of 550 degrees Celsius. However, Al-Ni-Co is very easy to demagnetize in reverse magnetic field. If you push two poles of Al, Ni, and Co together, the magnetic field of one of the magnets will be withdrawn or reversed. Therefore, it is not suitable to work in the reverse magnetic field (such as magnet rotor). Aluminum, nickel, and cobalt have high hardness. Although they can be ground and cut by wire, they are expensive. Generally supplied products, there are two kinds of ground or non-grinded. Aluminum, nickel, and cobalt are widely used in the sensor field. Although many people know about magnets, they do not know that magnets can be divided into many kinds. Moreover, there are great differences between “ordinary magnets” and “Neodymium strong magnets“. Magnets used in different industries are also very different. 1. According to the material, magnets can be divided into Nd-Fe-B magnets, ferrite magnets, samarium-cobalt magnets and AlNiCo magnets. Among them, the popular ones are Nd-Fe-B magnets, which are called “the king of magnets” because of their super-strong magnetic force. 2. According to magnetism, it can be divided into permanent magnet and ordinary magnet. 3. According to the magnetic force, it can be divided into strong magnet and ordinary magnet. 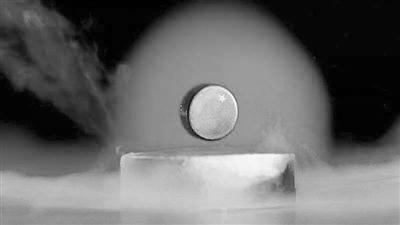 So what are the differences between ordinary magnets and neodymium strong magnets? 1. High temperature resistance: The indoor temperature and Curie temperature of Nd-Fe-B magnets are higher than those of ordinary magnets. No matter which kind of strong magnet material is used, it is better than ordinary magnet, so the limit temperature of strong magnet itself can be greatly increased. In the industrial industry, the machine can run at high temperature. 2. Hardness: Because Nd-Fe-B magnets increase the density of rare elements, they will be harder in hardness than ordinary magnets. Therefore, in the use process, it greatly avoids the situation of fragmentation of magnets caused by collision, while ordinary magnets are fragile, and their appearance will rust over a long period of time. 3. Strong magnetism: Common magnets on the market are determined by the amount of coins they can absorb, while NdFeB strong magnets can absorb 640 times their own weight, and the magnetic force can be imagined to be how big, so when contacting strong magnets, attention should be paid to avoid being pinched by them. 4. Price: Although the magnetism of NdFeB magnet is very strong, its price is proportional to itself. In summary, there is still a significant gap between neodymium magnets and ordinary magnets. Nd-Fe-B magnets are generally used in electronics and other industries. We know that the poles of bar magnets are actually at both ends, and the poles of horseshoe magnets are at both ends. But what about spherical magnets? If one is in the center of the sphere, one is in some part of the surface or on the sphere, it is obviously not tenable, because, in this way, there is no magnetic field around the spherical magnet. If we say that there are two relative points on the sphere, then obviously there can be countless magnetic poles, which is also impossible. 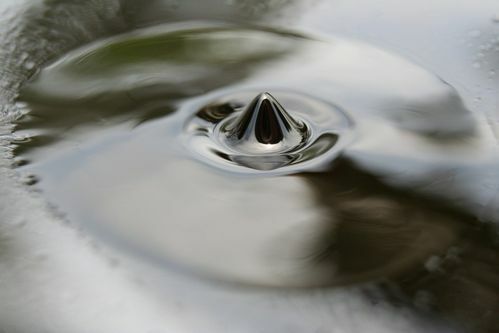 In fact, the magnetic poles of neodymium sphere magnets in nature are usually at both ends of a certain diameter, such as the NS poles of the earth. Of course, there may be a slight deviation, but it will not be much worse in general. As for artificial spherical magnets, their poles are related to the direction of magnetization during manufacture. There are many kinds of materials for artificial magnets, but no matter which kind of material is made into a certain shape and then magnetized. Therefore, its magnetic pole position is determined by the magnetizing method. When the direction of magnetization is determined, the magnetic poles are at both ends of the sphere diameter in that direction. We can also think about it through an ideal experiment. If a bar magnet is separated symmetrically from left to right by a straight line from N to S, then a very small piece is cut off on the left side and a very small piece is cut off on the right side at the same time. Then the remaining large N and S poles remain primitive. Repeat the action until the magnet is spherical. At this time, the magnet must still retain the original orientation of N and S poles. That is to say, the magnetic pole of a spherical magnet should be the same as the magnetic field of the earth, in effect, as a long magnet. The magnetic force line emits from the N pole and forms an arc in the outer space, pointing to the S pole. Inside the magnet, the line of force points from the S pole to the N pole. Similarly, the external magnetic field of a hollow spherical magnet is the same as that of a solid sphere, and the magnetic poles are distributed at opposite poles. In the internal space, it is also a polar magnetic field. The development of the elevator has brought great convenience to the life of contemporary people. Then the elevator lifting equipment electromagnet, its main part, namely crane, lifting machinery is widely used in lifting, transportation, loading and unloading, installation and personnel transportation of various materials in modern industrial production indispensable equipment. Crane is a kind of mechanical equipment that lifts, drops and moves materials by means of lifting hooks or other lifting devices in intermittent and repetitive working mode. The limiter of elevation, limit of operation, buffer, an anchoring device, rail clamp or windproof shoe, safety plate, anti-tilt device, lifting weight limiter, moment limiter and anti-collision device, etc. Elevator lifting equipment electromagnet is a new type of magnetic lifting equipment for magnetic conductive materials such as steel plate, ingot, and scrap steel, which has strong practicability. Lifting electromagnet does not need to bind scattered materials and other treatments when lifting and transporting materials, so it is also called bulk lifting electromagnet, which is very suitable for lifting and transporting scattered scrap steel and scrap. Lifting electromagnet is the usual electromagnetic sucker for lifting. Elevator lifting equipment electromagnet is based on the principle of electromagnetic conversion, in the state of electrification to produce strong electromagnetic attraction, in order to control the moving or stopping state of the object. The structure of the electromagnet is reasonable and compact. The coil is placed in the soft magnetic material shell and sealed with epoxy. It has the characteristics of small size, large suction, firm, reliable, fully sealed and strong environmental adaptability. The series of electromagnets can be operated remotely with simple and sensitive action and stable and reliable function. Applicable scope of elevator lifting equipment electromagnet: AC rated working voltage of lifting electromagnet is 220 volts. Normal temperature type lifting electromagnet is suitable for handling ferromagnetic materials whose surface temperature is below 100 C. High-temperature type lifting electromagnet is suitable for handling ferromagnetic materials whose surface temperature is below 600 C.
The function of elevator lifting equipment electromagnet is to produce strong magnetism under the condition of electrification, to absorb metal objects, and then carry them by crane. Without electricity, there is no magnetism, which is different from the permanent magnet. The advantage is that magnetism can be controlled at any time and send and receive freely. Magnets consist of iron, cobalt, nickel and other atoms. The internal structure of the atoms is quite special, and they have magnetic moments themselves. Magnets can generate magnetic fields and have the characteristics of attracting ferromagnetic materials such as iron, nickel, cobalt and other metals. Different magnets have different uses. Shape magnets: block magnet, arc magnet, special magnet, cylindrical magnet, ring magnet, disc magnet, bar magnet, magnet frame magnet. Attribute magnets: samarium cobalt magnet, neodymium magnet (strong magnet), ferrite magnet, aluminium nickel cobalt magnet, ferrochromium cobalt magnet. 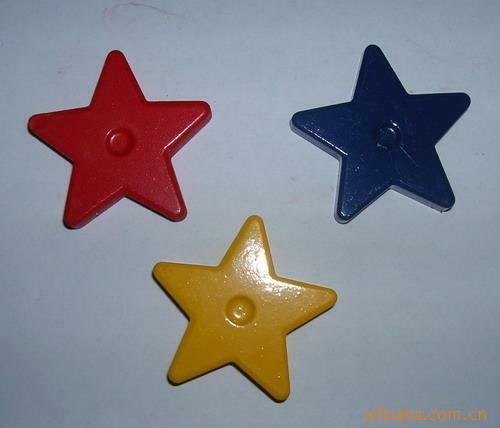 Industry magnets: magnetic components, motor magnet, rubber magnet, plastic magnet and so on. Magnets are divided into permanent magnets and soft magnets. Permanent magnets are added with strong magnets, so that the spin of magnetic materials and the angular momentum of electrons are arranged in a fixed direction, while soft magnets are added with electricity. (It’s also a way to add magnetism) If the soft iron is removed by the equal current, it will gradually lose its magnetism. 1. Nd-Fe-B permanent magnet is a modern magnet with strong magnetism and is widely used. It is mainly used in electroacoustics, permanent magnet motors, communications, automotive electronics, magnetic machinery, aerospace, computers, household appliances, medical devices, office automation, toys, packaging boxes, leather products, magnetic accessories, and other fields. 2. Permanent magnet ferrites are used as constant magnets in meters, generators, telephones, loudspeakers, TV sets and microwave devices. They are also used in recorders, pickups, loudspeakers, magnetic cores of various instruments, radar, communication, navigation, telemetry, and other electronic devices. 3. Samarium-cobalt magnets have been widely used in detectors, generators, radar, instrumentation, and other precision science and technology fields because of their high working temperature of 300 degrees, corrosion resistance and oxidation resistance. 4. Aluminum-nickel-cobalt magnets are heat-resistant and corrosion-resistant. They are mainly used in motors, sensors, medical instruments, hand tools, loudspeakers, and various instruments. 5. Rubber coated magnets are different and heterosexual, and their homosexual attraction is weak. They are mainly used for propaganda (refrigerator stickers, car stickers, etc. ), decorative gifts, refrigerator stickers, toys, teaching materials, etc. Heterosexual magnets can be used in small motors, sensors, magnetic adsorbents, etc. Understanding the use of different magnets is very important for enterprises. Making full use of the characteristics of different magnets can better improve product performance. 1. What are the applications of Nd-Fe-B magnets? 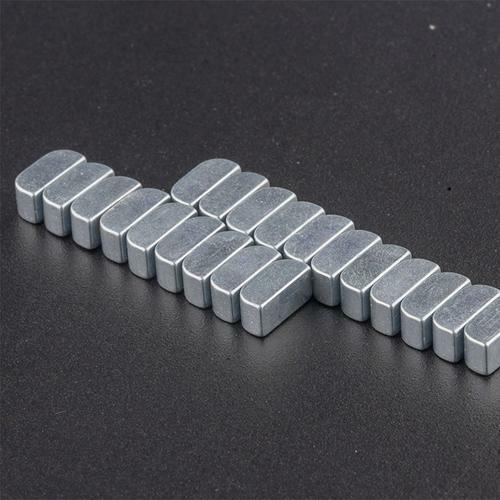 Neodymium permanent magnets are rapidly developing and widely used because of their excellent properties, abundant raw materials, and reasonable prices. It is mainly used in micro-motor, permanent magnet instrument, electronic industry, automobile industry, petrochemical industry, nuclear magnetic resonance device, sensors, Halbach Arrays, audio equipment, magnetic levitation system, the magnetic transmission mechanism, and magnetic therapy equipment. 2. What materials are NdFeB made of? The main materials of the Nd-Fe-B permanent magnet are rare earth metal Nd (32%), metal element Fe (64%) and non-metal element B (1%) (a small amount of Dy, Tb, Co, Nb, Ga, Al, Cu, etc.). Neodymium ternary permanent magnets are based on Nd2Fe14B compound, whose composition should be similar to that of Nd2Fe14B compound. However, when the composition of Nd2Fe14B is completely proportioned, the magnetic properties of the magnet are very low, even no magnetism. It is only when the content of Nd and B in the actual magnet is more than that of the Nd2Fe14B compound that better permanent magnet performance can be obtained. 3. How long can the magnetic properties of NdFeB last? Neodymium magnets have high coercivity, and there will be no demagnetization and magnetic changes in the natural environment and general magnetic field conditions. Assuming that the environment is suitable, the magnetic properties of the magnet will not be greatly damaged even after a long time of use. So in practical applications, we often neglect the influence of time factor on magnetic properties. 4. What is the direction of the rare earth magnet? b. Anisotropic magnets: The magnetic properties will be different in different directions, and there is a direction, i.e. orientation direction, in which the magnets with the highest magnetic properties are obtained. Sintered NdFeB permanent magnets are anisotropic magnets, so it is necessary to determine the orientation (magnetizing direction) before production. Because sintered NdFeB is very sensitive to working temperature, the instantaneous maximum temperature and the continuous maximum temperature of the environment may produce different degrees of demagnetization for magnets, including reversible and irreversible, recoverable and irreversible. 6. What is the working temperature range of neodymium magnets? Temperature limitation of Nd-Fe-B magnets has led to the development of a series of grades of magnets to meet different operating temperature requirements. Please refer to our performance catalog to compare the operating temperature ranges of different grades of magnets. It is necessary to confirm the maximum operating temperature before selecting neodymium magnets. 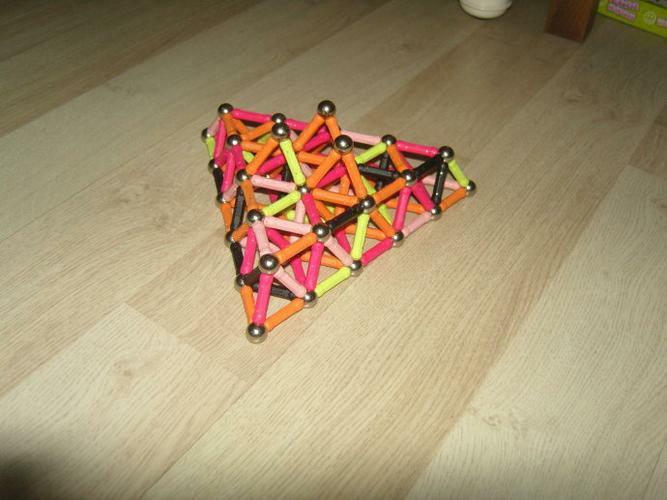 Neo magnets are super strong and very useful all around the house, office and workshop. Neodymium disc magnets are particularly sold for domestic use. Although they are small, these discs are still very hazardous and should be handled with care and kept out of reach of children. Additionally, one should handle separate magnets with care as they can snap back and pinch the skin. An NdFeB disc is a permanent magnet that will retain its magnetism for several years. This is particularly if used in a favorable environment that cannot interfere with its plating or coating. They are made of neodymium, iron and boron and this is the strongest manmade alloy. A neodymium disc magnet, as mentioned above, has many uses around the office, house, garage or workshop. Some of the uses are summarized as shown below. • Hanging items. These magnets are so strong that they can even be used on a corner dry wall that has a metal core. • Neo disc magnets can be used in wood and other surfaces as long as they are backed by steel. Neodymium disc magnets should be kept from electronic devices such as, televisions, computer hard discs, floppy discs, cassette tapes, bank cards, credit cards and related items. This is because their strong magnetic fields can wipe out data on some of the electronic items mentioned above as they store it magnetically. Because drilling, screwing and machining these small items is a sensitive task, it should be done professionally. Neodymium is very breakable even though hard. So if machined with the wrong equipment it can break easily and become waste. To attach these discs to a particular surface use special adhesives made for use with neodymium magnets. Epoxy glue could also be used. Finally, customers should pay attention to the sizes of NIB magnets. These will depend on the applications one has. One thing is for sure though, that a very tiny neo disc magnet will hold an item that is two or more times heavier. One will find that the pull force of each magnet is indicated. For instance, neodymium disc magnets measuring ¼ x1/10 inches have magnetic strength of 2.5 lb.